Party favor containers bring a refined touch to each guest place setting with Kate Aspen's custom Monogram Personalized Gold Metallic Champagne Bottle Favor Container sets of 12! 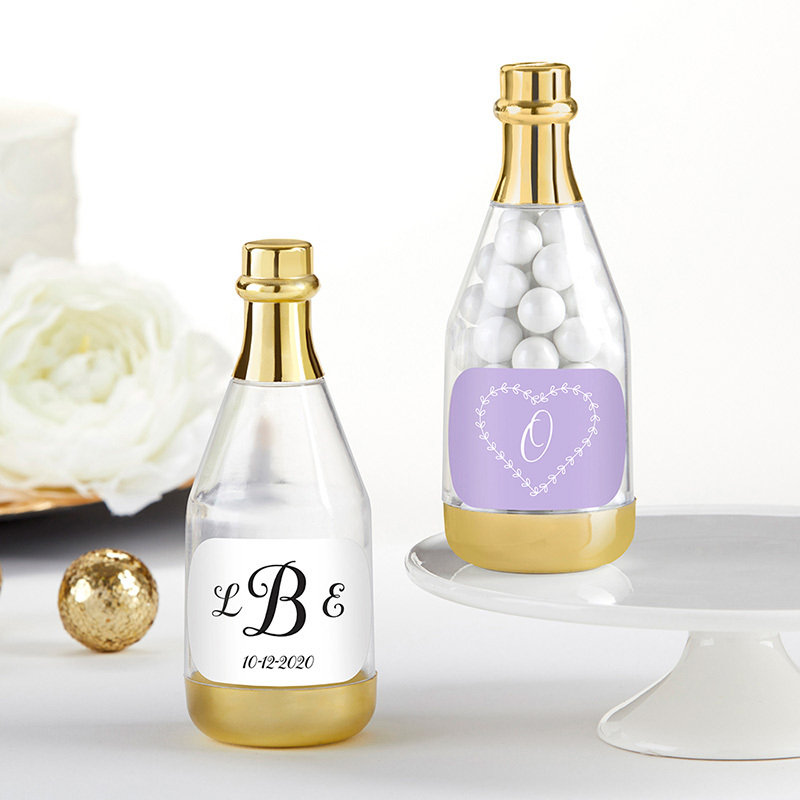 In sets of 12, the favor containers are perfect for every event from large weddings to intimate birthday parties, and each are adorned with a epoxy sticker showing your chosen monogram. As a piece of your décor, the clear plastic body of the favor container showcases the candies you choose to place inside, allowing you to further communicate your atmosphere and color scheme! Plastic champagne bottle shaped favor container with metallic gold foil top. Personalized epoxy sticker. Measures 1.5" w x 4" h x 1.5" d.
Fill from removable gold base, 1.5 inch diameter.